Come in and say hello to the new owner! Yes it’s true, the long time owner of the town’s best beverage store, Paul Lausier, has sold out and retired. Robert Denton, a Portland resident bought the establishment in February. All the same employees and great customer service will continue. 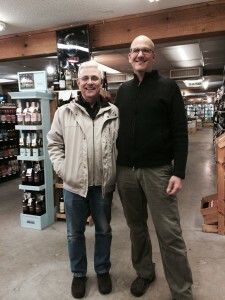 Oak Hill Beverage – Scarborough, Maine and Greater Portland's best selection of wine and beer!